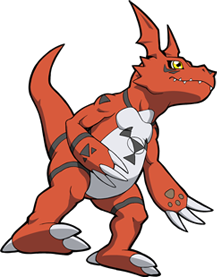 A Digimon which formed the figure of a childish-mannered dinosaur. 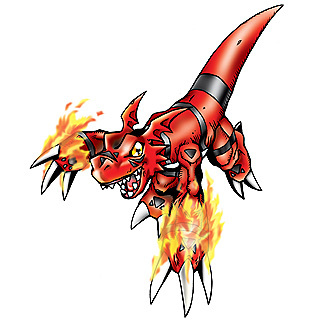 This Digimon hides the high-leveled potential as a "Fighting Seed" and, at the Rookie level, also hides the brutality akin to a carnivorous beast. 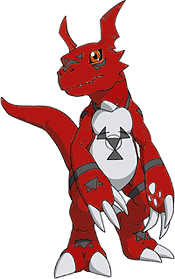 The mark drawn on his abdomen is called the "Digital Hazard", and is carved as a seal on those who, like Guilmon, might corrupt a great amount of computer data. However, if he is able to utilize the ability peacefully, he'll become a Guardian of the Digital World. 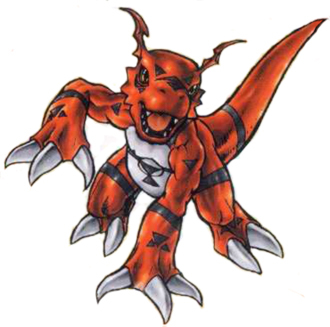 He likes to attack the enemy with "Rock Breaker", which gets its name from the fact that his tough claws can destroy rocks. 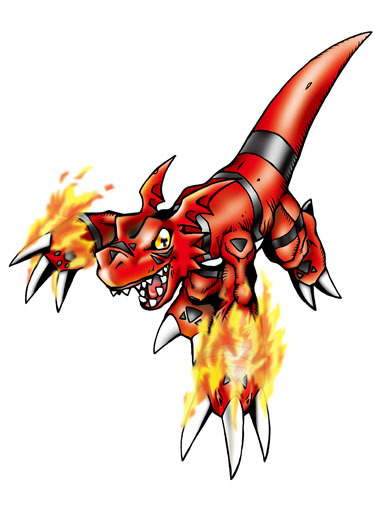 His special attack is "Fireball", which spits out a powerful flame bullet. 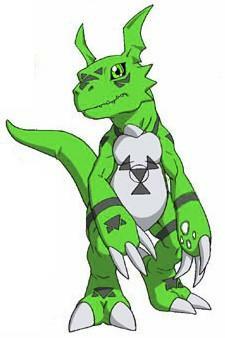 A Digimon that was born from Matsuda Takato's drawing. It has a very mischievous and curious personality, becoming interested by all sorts of things. Although its body is small, it hides great battle abilities. Origin / English. Guil could be short for guilty. As in, not guilty since he's innocent and such.